We are at the heart of the Anglo-Belgian community in Great Britain and maintain close relationships with both the Belgian Embassy and the Belgian-Luxembourg Chamber of Commerce (BLCC). We date back to the early 20th Century and throughout our history, have enjoyed the support of the Royal Families of both the United Kingdom and Belgium. Our main objective is "to help maintain and develop on a personal level the friendship which has always existed between the British and Belgian peoples, to promote cultural and social relations between the two peoples and to commemorate the brotherhood in arms which arose in two World Wars". We organise and promote a variety of social, cultural and sporting events at different venues for the benefit of our members and, on certain occasions, their guests. Have a look in our events section! We are a non-political, non-profit organisation, with a national remit, based in London, and run by voluntary effort. The Society's events are conducted in English. The Society currently boasts more than 400 members. So whatever your personal reasons for joining the Anglo Belgian Society, you will have plenty of opportunities to meet old friends and make new ones, to network in a cordial and international atmosphere, and to enjoy the cultural and sporting aspects of the Society's life. 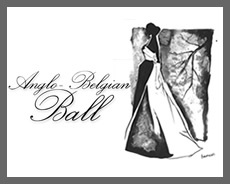 Keynote events include the Anglo-Belgian Ball in the Spring, an annual yachting weekend in May, a Summer Reception and a day at Royal Ascot in June, a celebration of the Belgian National Day in July, an Annual Dinner to celebrate King's Day in the Autumn. We organise wine tastings, concerts, conferences; some with the other Anglo-European Societies. We also participate in two important events commemorating our common history: the Belgian Parade at the Cenotaph in July and the Kindling of the Torch at Westminster Abbey, in November.